First of all, sorry for the long absence, turns out my 2nd year of uni was a lot more time consuming than I imagined. However, with spring here and summer fast approaching I figured it was time to start posting again. 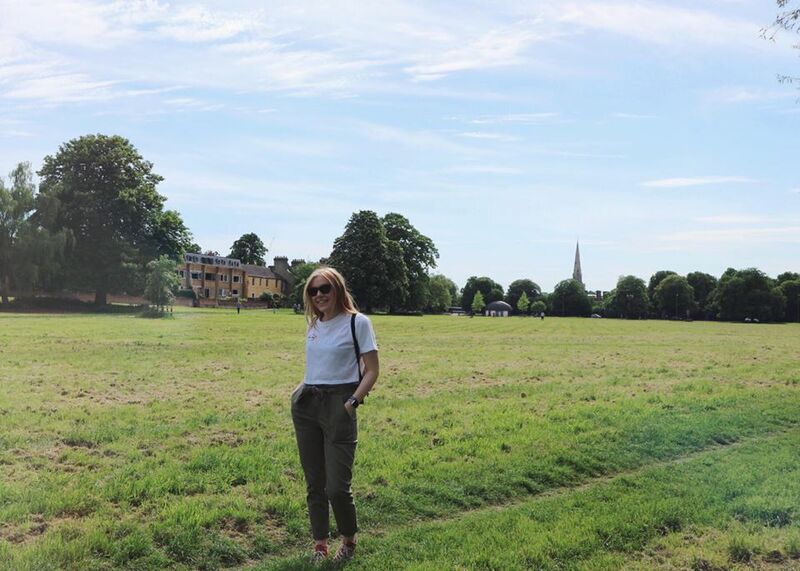 With the rain finally stopping and the sun coming out I went for a very long stroll alongside the River Cam which was the perfect opportunity to snap up an outfit post. With my style changing day to day, this outfit is vibing a very casual utility look. 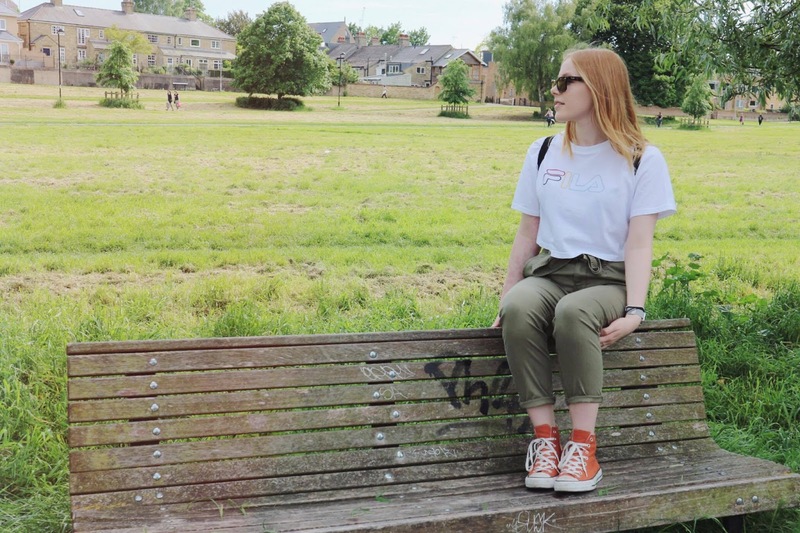 The military style paperbag trousers from Topshop I couldn't resist and are super comfy (which can never be a bad thing). I decided to pair them up with my favourite Fila crop top from Urban Outfitters. 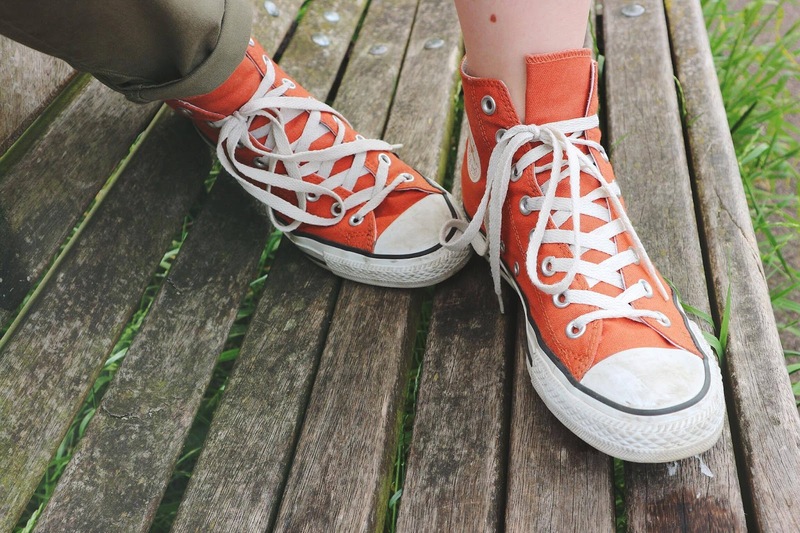 My orange Converse are literally my favourite pair of shoes, and as soon as I thought about the khaki trousers they came out of the wardrobe. 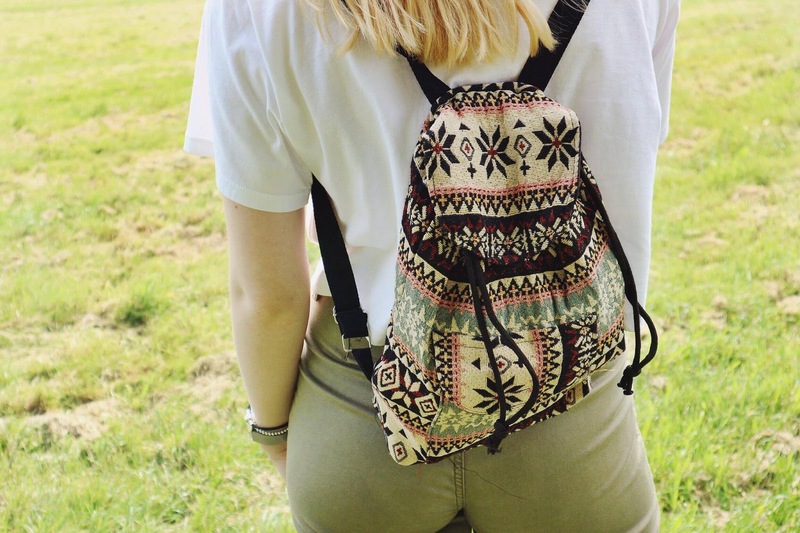 Lastly, my favourite little backpack which is from my parents latest trip to Vietnam/Cambodia completes the look with it looking as if it was made to go with the trousers. 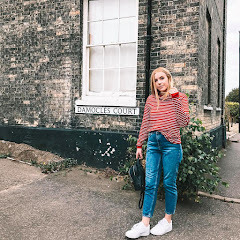 Hope you enjoyed this outfit post and hope you've all had a lovely start to the week! I love the converse, keeping it casual yet cute!